There are many SEO plugins and SEOPressor is one of them. When I started blogging I was using a theme which was not having inbuilt SEO so I had to use this plugin and maybe there are many other bloggers who are still using it. Though this is an amazing plugin for SEO but when we want to change the theme of our blog then we need to do SEO data transfer from SEOPressor to that theme. Here I am going to tell you how to transfer SEO data from SEOPressor to Thesis? The method for SEO data transfer from this plugin to any other theme having inbuilt SEO is similar to this. There is not a specific way for Thesis. You can use it when you want to switch to Genesis or any other theme in which SEO plugin is not required. As I have discussed in one of my previous post about SEO data transfer using a plugin named SEO data transporter. There are mainly four steps to do that. 1. First to install this plugin and activate it. 2. Open the plugin from tools. Select the platform from which you want to transfer the SEO data. 3. In this step select the platform to which you want to transfer the SEO data. 4. Analyze and Convert the SEO data and your SEO data will be transferred to the platform you choose. In the second step mentioned above, we don’t find any option to choose SEOPressor as the platform from which we want to do SEO data transfer and this is the main problem that we can’t use SEO data transporter. To transfer the SEO data from SEOPressor we need to do it manually. Let me show you the screenshot of SEOPressor setting and you can easily understand my words about meta title and meta description. In SEOPressor we can see in the upper right side there are boxes to write keywords. To make it easier to understand I am going to show all the posts with their keywords. To keywords of all the posts, you need to open posts/pages score from SEOPressor and you can see all the posts with the keywords you have used. In Thesis themes or any other themes which have inbuilt SEO the data from the plugin named SEOPressor have to transfer. It is done so easily. As you are watching the space below every post after uploading Thesis to your WordPress there are three columns to fill. 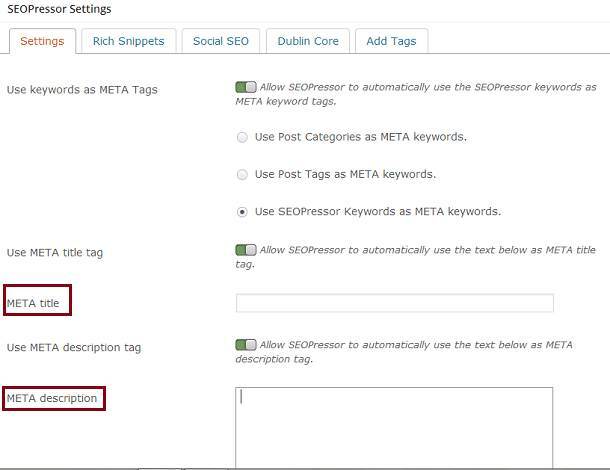 Title tag:- Here you have to place the meta title you have used for the posts in SEOPressor. You have to copy and paste it to every single post. Meta description:- It is similar to the plugin and you have to copy this tag from the plugin and paste it in the Thesis. It is also required for every single post. Meta keywords:- The keywords you have used in the plugin have to place here in the Thesis for all the posts. You can see in the screenshot shown above. 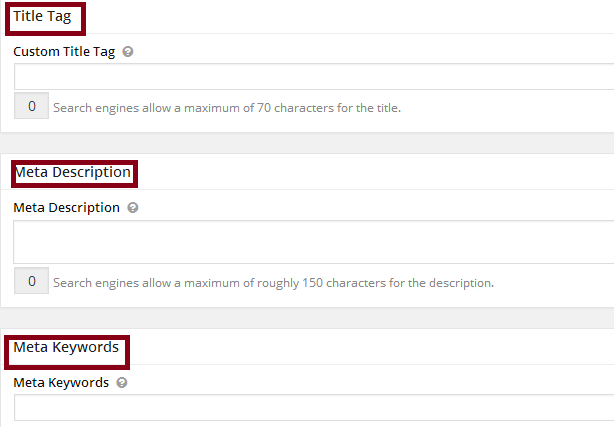 There is space for the title tag, meta tag and meta keywords which you have to fill for the perfect SEO of all the blog posts. After copying all these three things from every post published when you were using SEOPressor and paste the data to all the same posts after switching to Thesis you have successfully transferred the SEO data from SEOPressor to Thesis. If you want to ask anything related to this post then feel free to do so. I will try my best to solve your problems. Many people may think that what is the need to write this post? But for beginners, it’s important to know this method. After all, we can’t take any risk regarding the SEO of our blog. So whoever is using SEOPressor and want to switch to Thesis have to know this method. What a great step-by-step process you have given here on how to transfer your SEO data. I recently had a new blog done for me and everything was transferred for me. You make it so easy to do! I haven’t been big on my SEO, but my plugin reminds me of it. When it’s good, a green light will be on, but when I see that red light in my SEO checker, I do have to edit my content. Although things might have changed and the new trend is good back-links, and social media, SEO is still alive and well. Yes you are right things are changing day by day. Social media, good back-links mattes a lot in SEO. I always try to be more social so that I can get some positive results. Hope it will work. Like always it’s good to see to again here after a long time. Man, I did not know you could do that. But the good thing is that I’ve been using Thesis now for at least four years and have no intention of changing so I wouldn’t have a reason to do this. I didn’t realize I guess that this is something I even should do which just goes to show you once again that I do not know everything. Thank you for teaching me one more thing I did not know Ravi, that’s pretty cool. You know when we get appreciated for our work specially from any successful blogger like you, it feels really amazing. I have contacted many bloggers to know how to do SEO data transfer from SEOPressor to Thesis but finally I have to do it my own. Sometimes ideas come in our mind at their own. Very helpful and informative article. I’m a newbie in blogging world and yet having no much experience, But hope if i stay connected with all you guys then surely i learn a lots of things from you and other bloggers. All the steps you have mentioned here to transfer SEO data to SEOPressor To Thesis Quickly are quite good. And yes for sure you can learn from many bloggers who have achieved their goal in the blogging field.